Back in May 2010, on behalf of the Northern Ireland Foundation, I presented a Citizenship Award to Vuk Mitrovic and Sanja Mrkic, youth programme workers at the Centre for Civil Society Development (CCSD), in Kosovska Mitrovica. 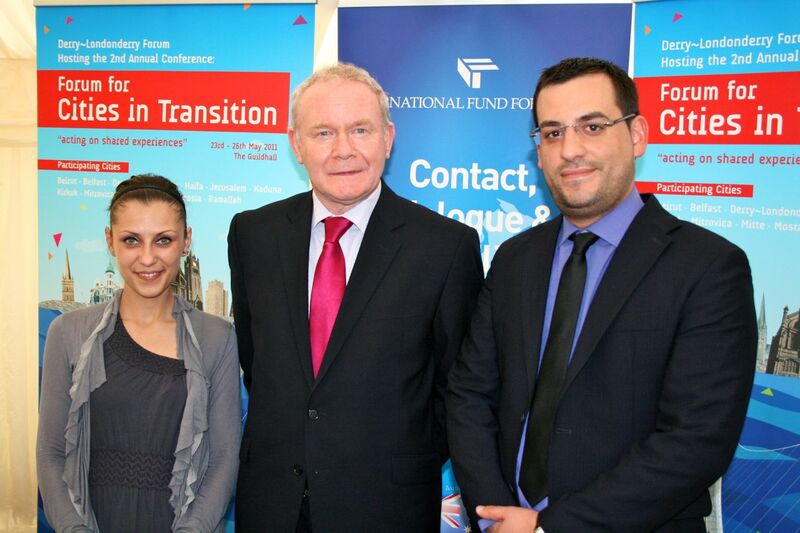 As part of the award, we sponsored a study visit to Northern Ireland, which happened from 15-27 May 2011. By all accounts, Vuk and Sanja enjoyed their visit and remarked how much they benefitted from their learning experiences here.